You wish to reserve an apartment for rent in Bordeaux? You don’t have the time to search and you wish to avoid the relocation hassle? Study’O is here for you! Study’O has residences in Bordeaux with rental apartments, from studios to one bedroom apartments, specially designed for the perfect student life. Our apartments are furnished and all equipped with a kitchenette, a sofa bed (140 * 190cm), a desk area, bathroom with shower and toilet, and a broadband Internet connection, so that you can study without any worries. Our rental apartments in Bordeaux have been decorated with the greatest care to make you feel at home. The only thing you have to do is put your suitcase down and start your student life. 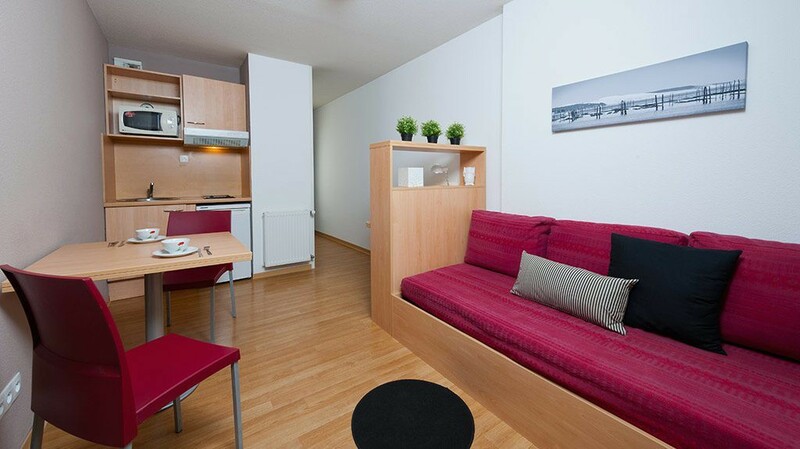 Our residences are conveniently located close to schools, universities and public transports. A team is dedicated to each residence, they’ll get you settled in your rental apartment in Bordeaux, in the best possible way. Choose Study’O and our rental apartments in Bordeaux for a turnkey solution.